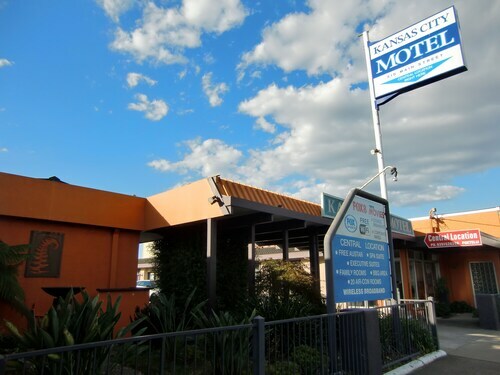 Situated in Bairnsdale, this hotel is close to Bairnsdale Historical Museum, Bairnsdale Aquatic and Recreation Centre, and St Mary's Catholic Church. Also nearby are McLeod's Morass Wildlife Reserve and Nicholson St. Gallery. 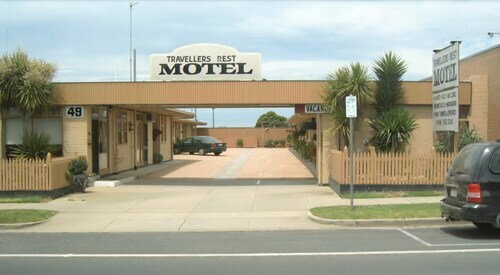 Situated in Bairnsdale, this motel is within a 10-minute walk of St Mary's Catholic Church and Bairnsdale Historical Museum. Nicholson St. Gallery and Bairnsdale Aquatic and Recreation Centre are also within 1 mi (2 km). Bairnsdale Station is 13 minutes by foot. Located in the heart of Bairnsdale, this motel is within a 10-minute walk of St Mary's Catholic Church and Bairnsdale Historical Museum. Nicholson St. Gallery and Bairnsdale Aquatic and Recreation Centre are also within 1 mi (2 km). Bairnsdale Station is 13 minutes by foot. 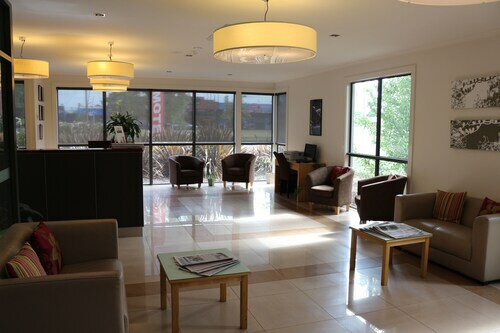 Situated in Bairnsdale, this motel is within a 10-minute walk of St Mary's Catholic Church and Nicholson St. Gallery. Bairnsdale Historical Museum and Bairnsdale Aquatic and Recreation Centre are also within 1 mi (2 km). Bairnsdale Station is 12 minutes by foot. 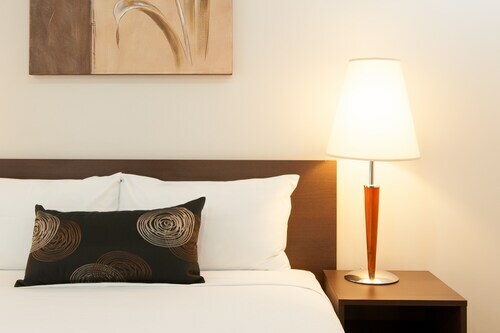 Situated in Bairnsdale, this hotel is within a 10-minute walk of Nicholson St. Gallery and St Mary's Catholic Church. 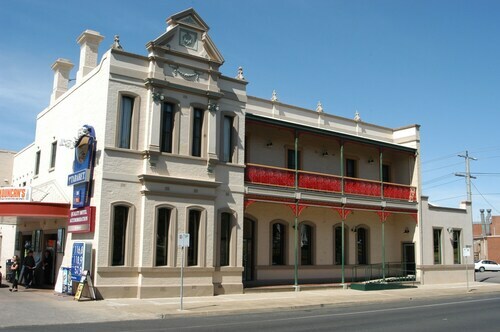 Bairnsdale Historical Museum and Robb Street Gallery are also within 1 mi (2 km). Bairnsdale Station is 11 minutes by foot. Situated in the entertainment district, this motel is within a 15-minute walk of Nicholson St. Gallery and St Mary's Catholic Church. Bairnsdale Historical Museum and Robb Street Gallery are also within 1 mi (2 km). Bairnsdale Station is 12 minutes by foot. Located in the heart of Bairnsdale, this motel is within a 10-minute walk of St Mary's Catholic Church and Bairnsdale Historical Museum. Nicholson St. Gallery and Bairnsdale Aquatic and Recreation Centre are also within 1 mi (2 km). Bairnsdale Station is 11 minutes by foot. Situated in the business district, this motel is close to St Mary's Catholic Church, Bairnsdale Historical Museum, and Nicholson St. Gallery. Also nearby are Bairnsdale Aquatic and Recreation Centre and McLeod's Morass Wildlife Reserve. Situated in a rural location, this bed & breakfast is 0.1 mi (0.1 km) from Nicholson St. Gallery and 1.6 mi (2.6 km) from Bairnsdale Aquatic and Recreation Centre. Koala Trail and Lakes Entrance Visitor Information Centre are also within 25 mi (40 km). Bairnsdale Station is 13 minutes by foot. There are a few towns that call the vast Gippsland Lakes home, but there’s only one Bairnsdale. The largest city in the East Gippsland region, Bairnsdale graces the edges of Mitchell River just a couple of kilometres from the blue waters of Lake King. Whether you’re looking for an outdoor adventure, a food and wine trail or a cultural escape, Bairnsdale has got you covered. And so do we! Check out our range of Bairnsdale accommodation now. Named after the birthplace of the first settler in the area, Bairnsdale has always been popular for its location on the river and as a thoroughfare to the sea. It was a port for the nearby goldfields before the railways came and stole the glory. 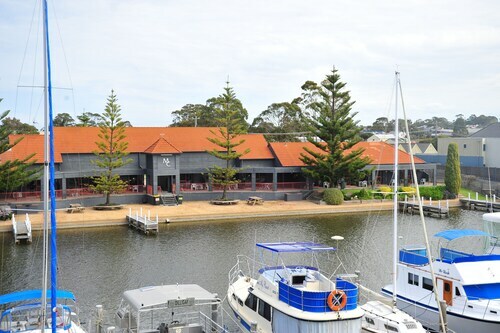 Today, Bairnsdale is a laid-back country town that attracts many tourists lured by the promise of Australia’s largest and most beautiful inland waterways, the Gippsland Lakes. What the name doesn’t tell you is that the surrounding forests and alpine regions are just as worthy of your precious holiday time. Thanks to all this beautiful scenery you’ll find yourself on an outdoor adventure without even seeking it out. Love to fish? There’s lots of water! Surfing, swimming and all kinds of water activities are the pick of the day – every day – in Bairnsdale. And it’s not all limited to the lakes. Canoeing and rafting is the best way to access Mitchell River National Park, with the fun of a few rapids on the way. For the tame there’s a walking track that winds past the serene rainforest gullies, rugged landscapes and beautiful river scenery. If cycling is more your style, the East Gippsland Rail Trail leads you 100km across historic bridges and rivers, through forests and rolling farmlands. Once all that fresh air goes to your head check out Krowathunkoolong Keeping Place, a museum exploring the Aboriginal heritage of the area. On top of all the fascinating background info, displays include bark canoes, grass baskets, boomerangs and contemporary Aboriginal art. The colonial side of Bairnsdale’s history is on show at the Historical Museum and Resource Centre, set in 19th century rose gardens. Then wander the streets to discover what heritage still stands tall around you, including the Court House and St Marys Roman Catholic Church. Prefer food and wine? Take the scenic Twin Rivers Food and Wine Trail and stop in at the region’s wineries, restaurants, fruit orchards and berry farms. Nicholson River Winery creates preservative-free wines, and offers cheese and antipasto platters on the spot – sometimes there’s even wood-fired pizza. If you really do love a driving kind of holiday, then don’t miss the Great Alpine Road. It’s Australia’s highest year-round accessible sealed road, so the views are truly up there! So now you’re wondering how to get here right? It’s easy! Bairnsdale is located on the Princes Highway between Sale and Lakes Entrance. It’s just over three hours east of Melbourne and eight hours southwest of Sydney. A relaxed country town set amongst the spectacular scenery of the Gippsland Lakes and beyond, Bairnsdale is a holiday that can be as adventurous or as relaxing as you want. 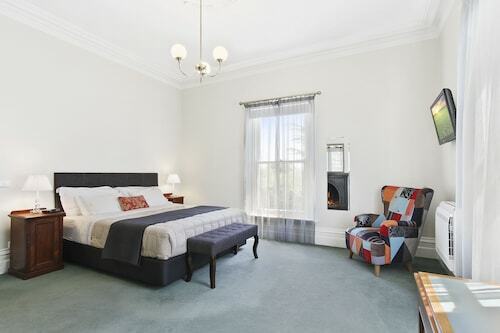 Get in and book one of our Bairnsdale hotels or bed and breakfasts today. How Much is a Hotel Room in Bairnsdale? 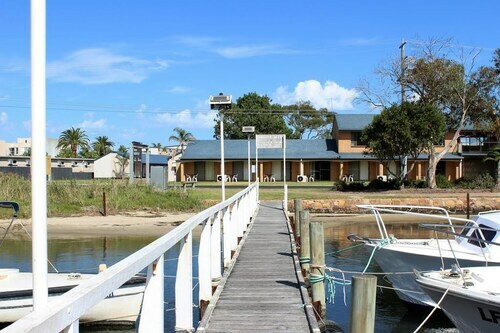 Hotels in Bairnsdale start at AU$89 per night. Prices and availability subject to change. Additional terms may apply. Well set up family rooms and friendly staff. Rooms were clean and extra tv in kids room was good. Location, location. Very comfortable and short walk to centre of town.